Apple Inc. (NASDAQ:AAPL) may face hard time in selling its new smartwatch that was rolled out on Monday by company’s Chief Executive Officer Tim Cook. According to result of a Reuters/Ipsos poll, 69% of American people were not interested in buying the newly launched Apple Inc.’s smartwatch. A Reuters’ article reported on the news and discussed about awareness and interest of peoples in Apple’s new smartwatch. Ipsos took an online survey of 1,245 people from America between March 9 and March 13 to know about people interested in buying Apple Inc. (NASDAQ:AAPL)’s new smartwatch and whether it could be a great hit in the market or not. After the survey, it is realized that there’s a limited amount of awareness present for Apple’s smartwatch among the people, as half of the survey respondents were not even aware of the news about Apple’s new smartwatch in last few days. With Apple’s new smartwatch, users can listen to music, check emails and make phone calls from their wrist. Apple Inc. (NASDAQ:AAPL) will be selling different versions of the watch starting from a $349 ‘sport’ edition to a $17,000 18-karat gold timepiece. Apple Watch is expected to be purchased by iPhone users initially but its success and popularity among other people relies mostly on how developers create interesting apps tailored to the device that might help attracting more users towards it. According to the survey results, 69% respondents were not interested in buying Apple Watch, 6% were unsure about it and one-quarter respondents seemed to be interested in buying it. The survey also reflected a positive sign for Apple Inc. (NASDAQ:AAPL), which is that about 13% of respondents having no iPhone said that they would consider buying it in order to get an Apple Watch, as it requires an iPhone to work completely. So, iPhones are likely to get a boost in their sales because of new smart watches. Apple Inc. (NASDAQ:AAPL) is not alone in the new space of “wearable electronic devices”. Many other tech giants including Samsung, Sony Corp (ADR)(NYSE:SNE) and LG Electronics have released their own smart watches in the market, many of which have software developed by Google Inc (NASDAQ:GOOGL). According to Strategy Analytics research firm, about 4.6 million smart watches were sold worldwide in 2014. 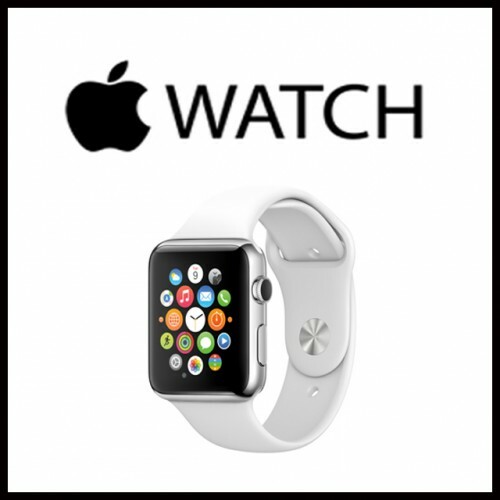 Apple Inc. (NASDAQ:AAPL) might be having tough time in selling its watches as compared to expected because not much people are aware of its smartwatch and people also have choice of other brands’ smart watches. To make its smartwatch a biggest hit of all time, Apple Inc. must have to bring out unique and varied features to people in order to get ahead of competition and dominate the market. Apple Inc (AAPL) Apple Watch Google Inc (GOOGL) iPhone Ipsos Poll LG Electronics NASDAQ:AAPL Samsung SmartWatch Sony Corp (ADR) (SNE) Strategy Analytics Tim Cook - Apple Inc.